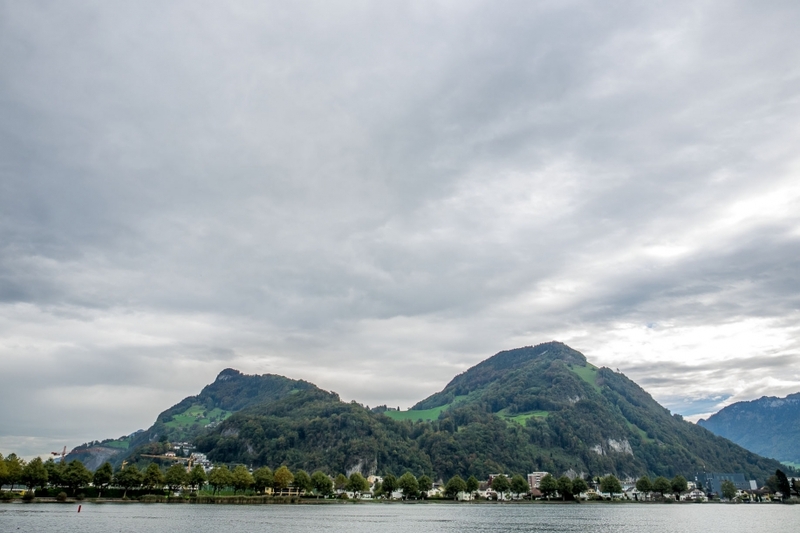 I arrived fairly late in to Steinerberg, Steinerberg is on a lake about 40km east of Luzern, I picked the area for its central location to a few of the spots I wanted to visit over the next few days, so after a quick chat to my hosts about my plans for the next few days, I was off to lalaland. First on the list was Jungfraujoch, The Jungfraujoch is a mountain area between the Jungfrau and the Mönch which is about the dead centre of Switzerland. 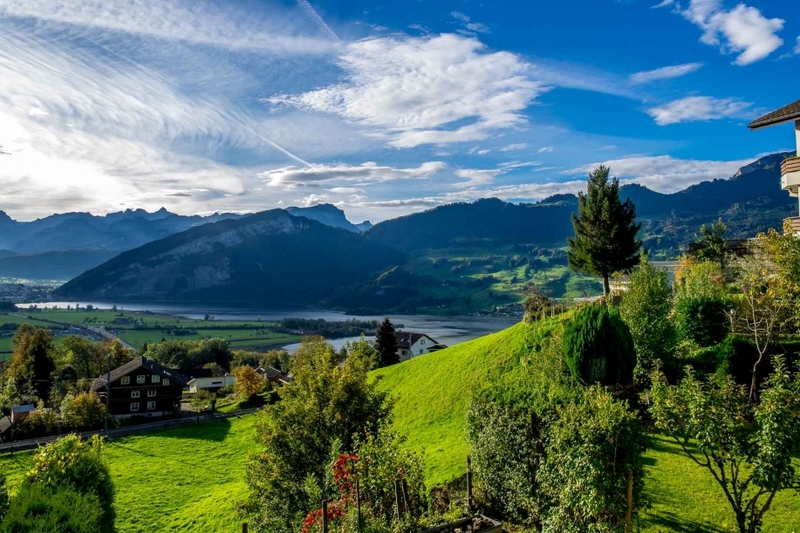 It lies at a height of 3,466 meters above sea level in the Bernese Alps, halfway between Interlaken and Fiesch. The Jungfraujoch railway station, at an elevation of 3,454 meters (11,332 ft) is the highest in Europe, you guessed it I wanted to get up there, my only problem, 1 had a one day window and the weather wasnt looking the best, not to mention the drive was about 3-4hrs and I needed to be there at 7am, not going to happen. I decided to skip Jungfraujoch and checkout Grindelwald and all thats in between instead and I’m glad I did. There is so much to see in Europe, in fact so much to see in this world and no matter where you go you never have enough time to see everything, there are so many towns/cities/places that I would have loved to have stayed in longer to see but that just wasnt possible. First stop, a road less travelled 😉 near Brienzwiler, I noticed a windy road on my GPS and away I went, driving up the road I never expected to end up where I did, one of the most spectacular views I have ever seen. The amazing view off my balcony at my Bed & Breakfast, spectacular. The standard transport around Switzerland, I saw so many of these transporters. After talking to some locals, the dry river flows intenseley just after winter from the melting snow, then just simply dries up. Every house generally has a barn just to store wood for the winter, its an ongoing process all year round. 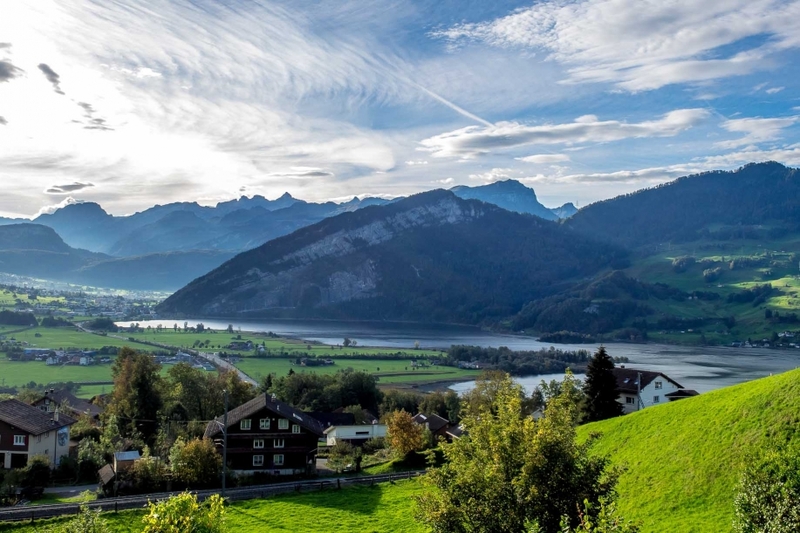 What an amazing view over the lake near Interlaken. As you all know by now I see a road and I take it, this was well off the beaten track but led to the most spectacular views of Brienzwiler. Crazy, and a crazy moment, while sitting on the bonnet of the Yeti admiring the view and soaking it all up I could hear what sounded like fighter jets, little did I know down below and to the left of this images was the Army base and 3 F18 style fighter jets took off one after the other, ill post a video soon, you could hear them roar, was quite surreal. The mossy tree with a view to-die-for. the small picturesque town of Brienz. LOGS, the first of many LOG sightings ;). Ski Lift Gondola’s a plenty as I drove in to Grindelwald. The view of Grindelwald, it took almost 2hrs to get to this point, crazy single lane road. As the sunset over Grindelwald. My first Swiss/German style meal, Sauerkraut, Bratwurst and Kartoffelgratin ie potato gratin, topped off with some local beer, mmm tasty, funnily enough this was my one and only meal of this kind on my trip. And that brought an end to an amazing day, a long day, a day where sat at one of the highests points in Europe, tomorrow I was on the way to one of my main stops, Innsbruck, Austria.